UPSC notifies lowest vacancies in 10 years. Is this the Modi effect at play? UPSC notifies lowest number of vacancies in 10 years. Is this the Modi effect at play? Modi had promised a leaner bureaucracy under his mantra of ‘minimum government, maximum governance’. Since 2014, vacancies have declined from 1,291 to 782. 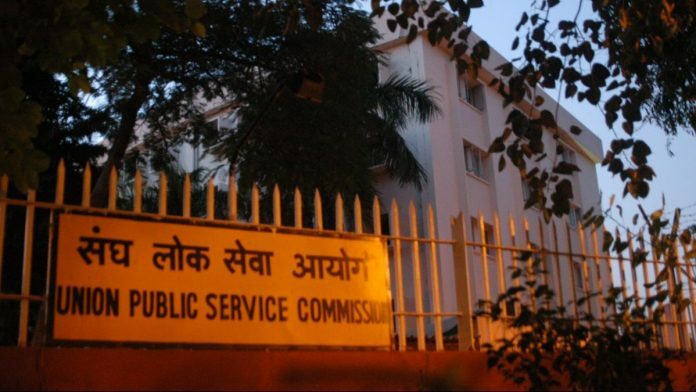 New Delhi: On 7 February, the Union Public Service Commission published the notification for the 2018 civil services examination. It notified 782 vacancies, the lowest in 10 years, and a steep fall from the 980 vacancies notified in 2017. This, however, isn’t a new trend. 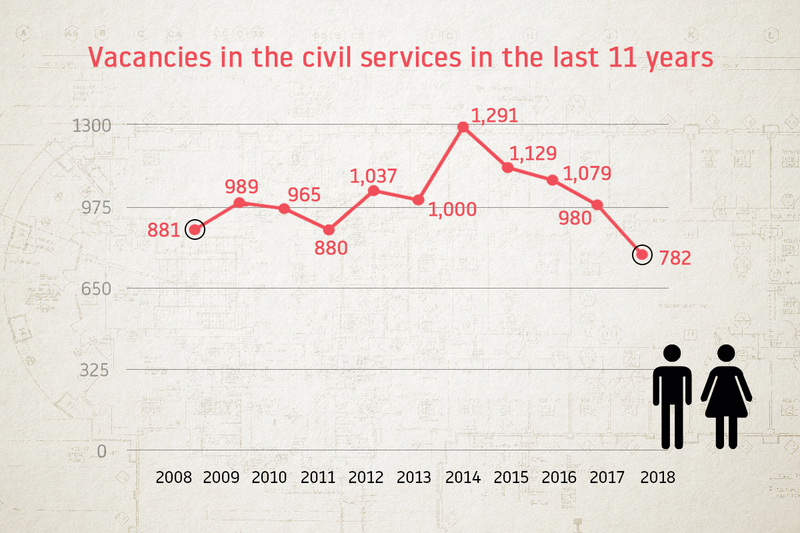 Ever since the NDA government came to power under Narendra Modi in 2014, the number of vacancies has been on the decline. That year had witnessed the notification of 1,291 vacancies – the highest in the last 10 years. On the same day as the UPSC’s notification, Jitendra Singh, Minister of State for Personnel, Public Grievances and Pensions, said in response to a question in the Lok Sabha that there was currently a shortage of around 1,500 IAS officers in the country, as per data available till 1 January 2017. Why is the number of vacancies declining, despite the government’s admission that there is a need for more officers? During his 2014 Lok Sabha election campaign, Modi had promised that he would make the bureaucracy leaner, under his mantra of ‘minimum government, maximum governance’. The falling number of vacancies is seen to be a result of Modi’s promise. However, a senior official of the Department of Personnel and Training, explained how the system of vacancies works in reality. However, Satyanand Mishra, former IAS officer and Chief Information Commissioner, said he was shocked at the low number. A.P. Singh, former member of the UPSC and retired IPS officer, clarified that it was the DoPT that took these decisions, not the UPSC. “UPSC issues the notification based on the requirement given to us by the DoPT. The commission has no say in the number of vacancies; it only conducts the examination,” he said. A low number of vacancies will make the toughest examination in the country even tougher for aspirants, because of the increased competition. Last year, around 12 lakh candidates had registered themselves for the examination, with only 980 vacancies up for grabs. However, over the years, the number of candidates who actually appear for the examination has declined drastically, since a number of registered candidates don’t appear because it would take away one of their attempts. Currently, general category candidates are allowed six attempts up to an age of 32, nine attempts for OBC candidates up to the age of 35, and unlimited attempts to SC/ST candidates up to 37 years of age. In 2016, 11,35,943 candidates had applied for this examination, out of which only 4,59,659 candidates actually appeared. Ok Our country is secular country. So as per constitution every one have freedom of worship of any God or Goddess. So SCs remain SC even after converting. Then the claim that Christianity has no caste bias is a big lie. Isn’t it? Please ,Apply the age limit for Christian Minorities persons (SC converted in to BC-C and OBC)up to 37 years. Because they are S.C candidates , but they worshipped Jesus Christ. Thank you.